Mix It Up with Marcia! Tired of the same old workout? 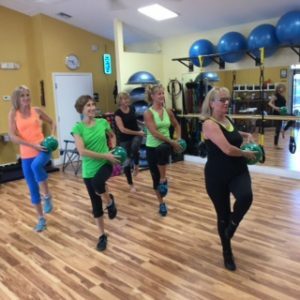 Not getting the results you hoped for… then come Mix It Up with Marcia! Each class is unique, utilizing different equipment and modalities. Enjoy a full hour of aerobic and resistance training, focusing on flexibility, strength and balance. And the “icing on the cake” we finish each workout with a quiet guided relaxation and meditation. Every age and fitness level is welcome. Whether you are a beginner or advanced this class is for you. P.S. There is no cake!